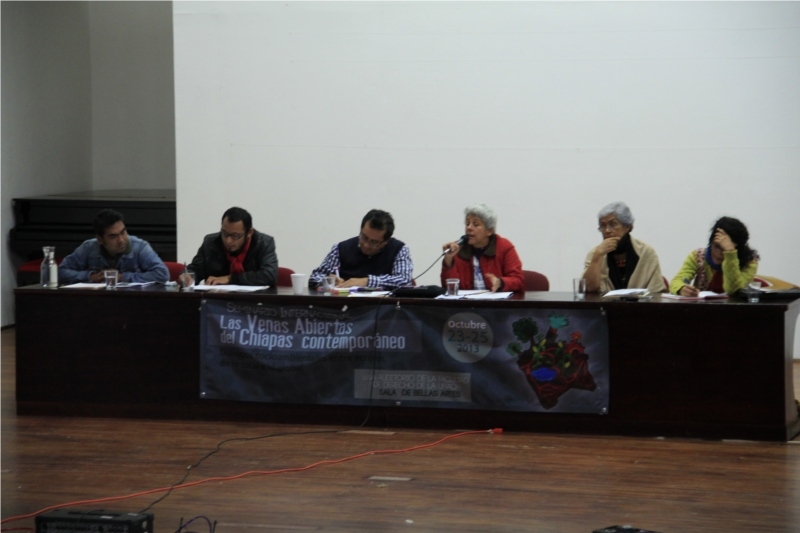 In San Cristóbal de las Casas on 23-25 October, there was held the international seminar, the Open Veins of Contemporary Chiapas: socio-environmental dialogue among actors, from the local to the global. During the seminar itself, in which participated academics and representatives of civil and social organizations from Mexico, Guatemala, and Colombia, different questions were addressed, including mining, wind-energy, dams, agrofuels, transgenics, and protected natural areas, among other things. Those affected by extractive and exploitative policies presented the experiences which they have had in their communities, and they indicated different strategies and alternatives for the defense of their lands and territories. Similarly, within the context of the seminar, there were three academic presentations made by Daniel Villafuerte (CESMECA-UNICACH, MDRR-Chapingo), Joan Martínez Alier (ICTA-UAB, Barcelona, Spain), and Gustavo Esteva (Unitierra Oaxaca). This entry was posted on Tuesday, November 12th, 2013 at 4:25 pm and is filed under Chiapas, Human Rights, Human Rights Defenders, Indigenous people, Justice system, Land and Territory, Land rights, Mining, Political Prisoners/Prisoner of Conscience, Women, Youth. You can follow any responses to this entry through the RSS 2.0 feed. You can leave a response, or trackback from your own site.